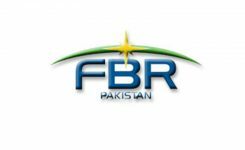 The Board-in-Council of Federal Board of Revenue (FBR) Friday reviewed progress on the implementation of the track and trace system for tobacco products and analysis of sector specialist on the said project. The Board-in-Council meeting was chaired by FBR Chairman Mohammad Jehanzeb Khan here at the FBR House on Friday. 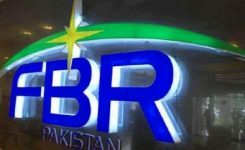 The FBR also examined the request of the Balochistan Revenue Authority to the FBR for designing an automated system for the provincial revenue authority. The observations of the project director were discussed during the meeting. Sources said that the project director informed the FBR that for effective implementation of the track and trace system for tobacco products, the FBR should issue the draft invitation of licensing (IFL) and draft of the Licensing Rules 2019. The Board-in-Council also decided that the Law and Justice Division should do vetting of the draft of the Licensing Rules 2019. 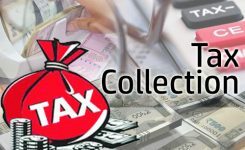 According to sources, accompany, consortium or joint venture must have minimum annual turnover of $50 million in any of last three years or financial worth of US $25 million to qualify for seeking licence in Pakistan to provide technological solutions for high security tax stamps and electronic monitoring/tracking system for tobacco products, beverages, sugar, fertilizer and cement. No company shall carry out electronic monitoring, tracking or tracing of specified goods unless it has obtained a licence. 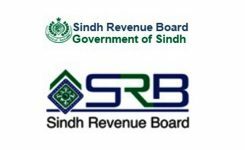 The FBR will set up a licensing committee which shall function in accordance with the provisions of these rules. Project director, Track and Trace System, shall be the convener of the licensing committee and its headquarters shall be located at FBR House, Islamabad.According to criteria specified by the FBR for grant of a licence, the applicant (any company or consortium or joint venture) shall be required to provide technological solutions for the high security tax stamps and related electronic monitoring and tracking system tailored for Pakistani needs on real time basis. 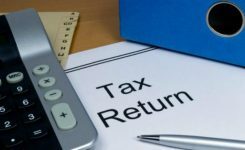 It shall be a company duly incorporated under the Companies Act, 2017. It shall have experience and past performance in electronic monitoring, tracking and tracing of tobacco products, beverages, medicines, petroleum, etc, preferably in multiple countries. 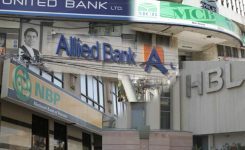 It shall be in a financial position to undertake the project, minimum annual turnover of US $50 million, in any of last three years or financial worth of US $25 million and it shall have appropriate managerial capacity to execute and run the project. The Track and Trace System should include following control functionalities at several level like advanced authentication of all the different profiles on the system (login and password); control of activation in the manufacturing plants and control of controller activity and planning of inspection tours.The system-based solution offered by the applicant shall be able to perform the following functions including monitoring capability on real-time basis of a minimum 50 factory premises or production lines; tracing and tracking of specified goods throughout the country from factory premises to retail level on real time basis; the ability to configure the tracking unit remotely; the system must be capable of sending alert messages and trigger alarms (visible and audible) in case of occurrence of abnormal events such as unauthorised stoppages of production, tampering with stamping machines, etc. The applicant shall also submit a complete list of operations and maintenance required to operate the system based solution. The applicant shall specify the expected delivery and implementation time, which shall not exceed six months from the date of issuance of licence. The applicant shall also undertake to meet these timelines, the FBR added. Office No. 405, 4th Floor, Continental Trade Center, Scheme No. 5 Kahkashan, Block 8, Clifton, Karachi-Pakistan.